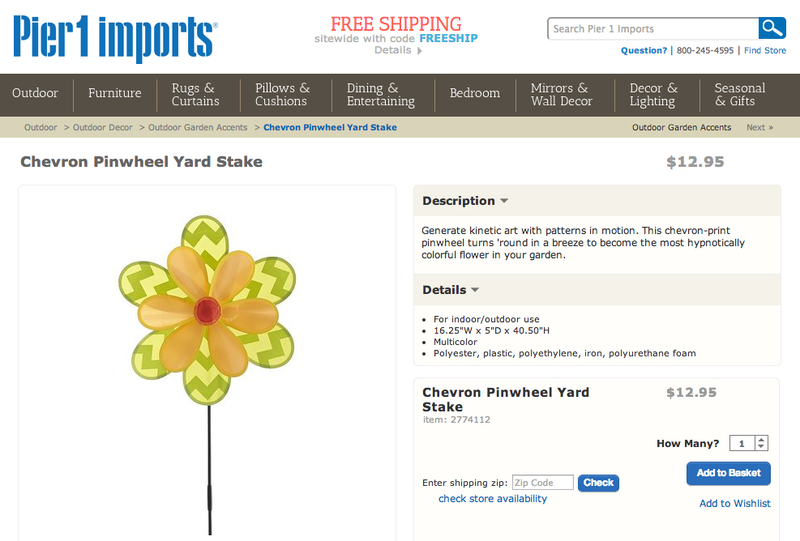 Extensive Trend Research for home decor and seasonal outdoors. 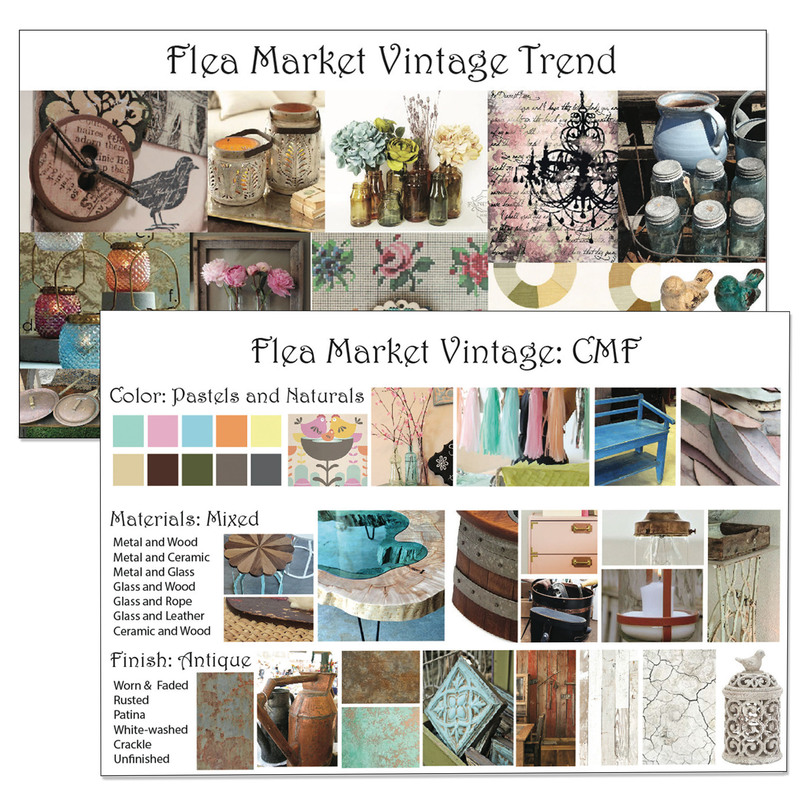 Surface Pattern Designs for US retail clients reflect current market trends. Natural colors and pastels look like faded patterns of floral and antiqued finish. Materials such as wood and ceramic have uneven finishes for a rustic, worn aesthetic. Tinted glass and painted metal provide an aged look. Combined materials and repurposed products add a DIY and flea market feel. 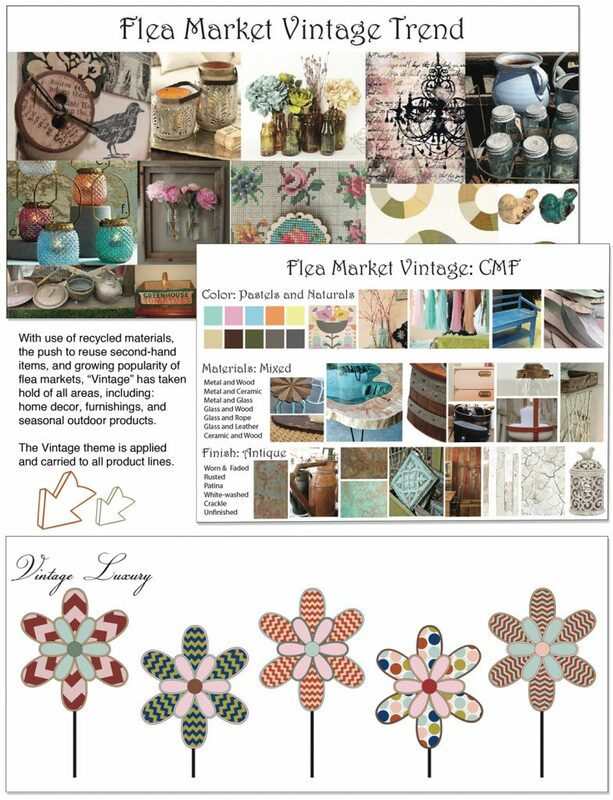 The Vintage theme is applied and carried to all product lines.